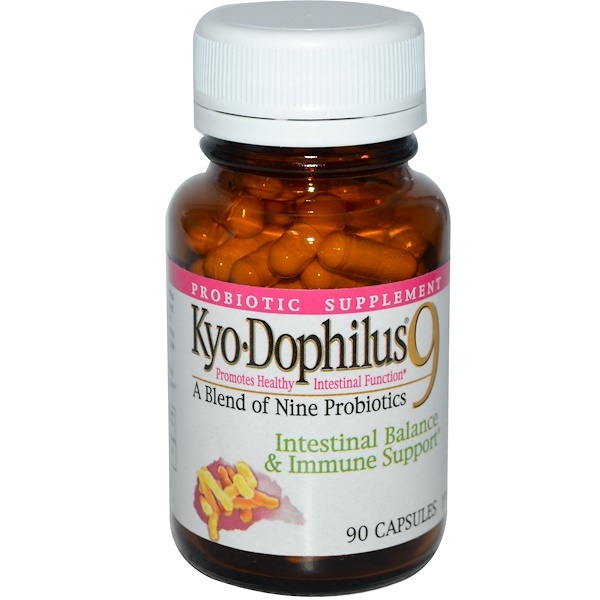 Kyo-Dophilus 9 is formulated with three Lactobacilli strains and six Bifidobacterium strains. 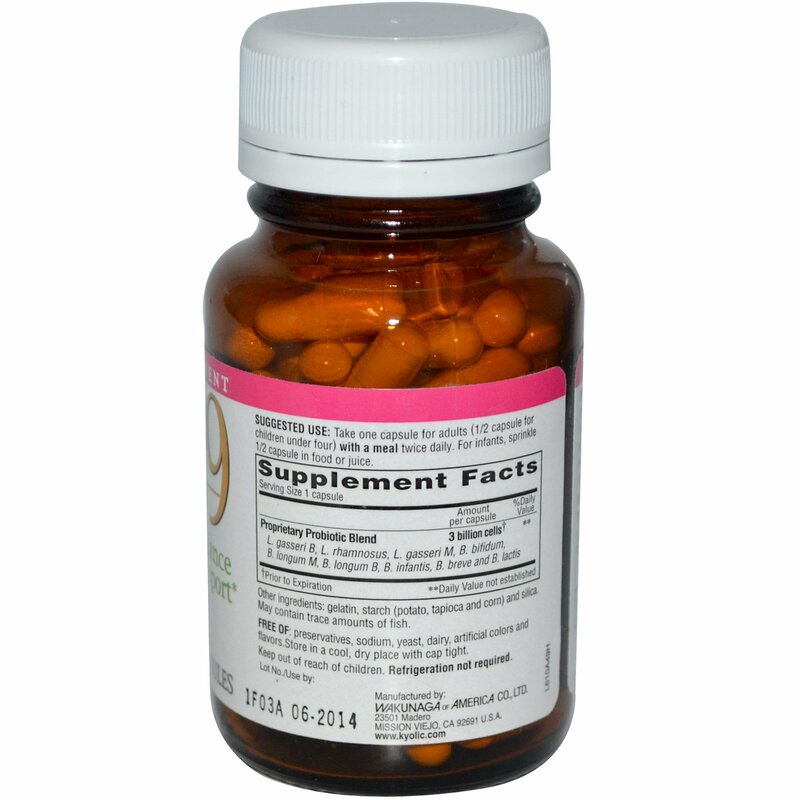 This unique blend of nine probiotics contains specially cultured human strains of friendly bacteria that are carefully processed to retain viability at room temperature, insuring an adequate number of cells for colonization in the intestines. 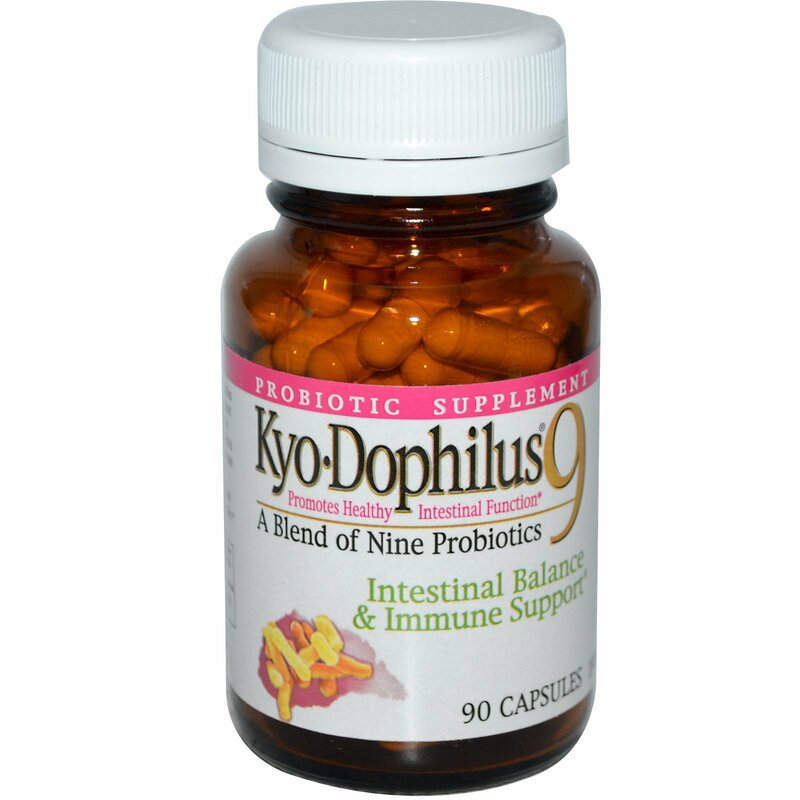 Kyo-Dophilus 9 helps maintain balanced intestinal flora and promote healthy intestinal and immune function. Keep out of reach of children. Refrigeration not required.